LOL you know it's darn hard to draw on the computer! 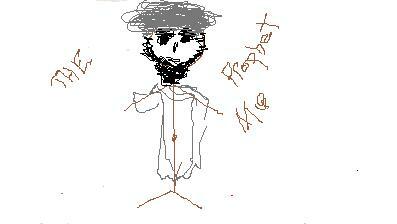 Well I did my part here you go: The prophet muhammad! Looks like it's trying to say: "I kill you!" See how they are Pamela! Oh we just want to lalalalala memememe! I agree it is a slap in the face! Don’t give in and don’t give up! A dedication to the victims of 9-11 museum at ground zero I’m all for that! NOT A FREAKING MASQUE!!! oh and screw you blogger and facebook!!! Love the pic! lol. Thanks for stopping by and you have been added. Yup they hate us mission accomplished! Moderate? NO such animal with islam! America is a CHRISTIAN NATION! Arizona did the right thing! Islamic Muslims in our backyard now! DCAT's D DAY POSTINGS! Do enjoy! So take that you name calling racist democrat! Obama is this your fear? islam WILL go down in flames! Collage degree and all still are stupid! A Love for MY Country! Thanks Red! Sunday morning talking heads - Justice. The post Sunday morning talking heads appeared first on Hot Air.